What do Hatikvah, psalm 126, a rabbinic dictum about "the doings of the fathers are a sign for the sons", the parshah, and the six day war have in common? In this week's episode of the Jewish Geography podcast we introduce the shows new theme music, discuss fathers and sons, and follow how the actions of the patriarchs reverberate and play out through the parshah and through history, up to and including the 6 day war. Listen to find out how! 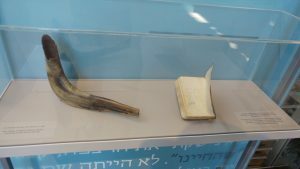 You can find the full text of Psalm 126, Shir Hamaalot at Sefaria.org, as well as an excellent article on the history of Hatikva as the Israeli national anthem HERE. 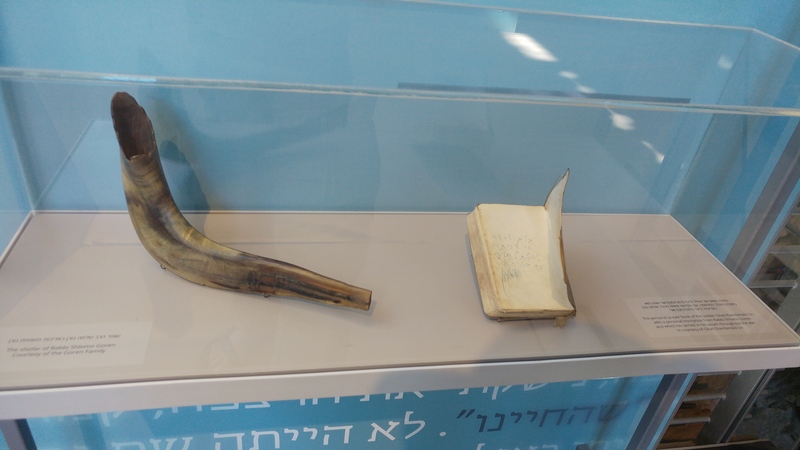 Here is a photo I took of Rav Goren's siddur and shofar, on display at the Davidson Center in Jerusalem. 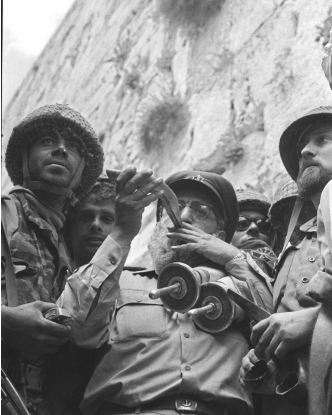 And the iconic picture of the Rav blowing the shofar at the Western Wall. Read the text of the parshah, Vaeira on Sefaria.org. In the podcast I discuss a particular scene in the battle for Jerusalem in 1967. If you're interested in understanding a bit more about the context for that battle I found this great history video that lays it all out with archival footage and maps. The rendition of Israel's national anthem, Hatikvah, which serves as the shows theme music was created by Andrés Rodríguez ("androz" on Fiverr.com). The audio from the Six Day War is from the archival audio of the Israel Broadcasting Authority. I used a clip from "Oh Freedom!" by The Golden Gospel Singers. Also a clip from Bensound.com which he has generously shared to use freely. Finally and most importantly, many thanks to the Creator of the Universe, for bringing about all these wonders, without which, I would have nothing to talk about.